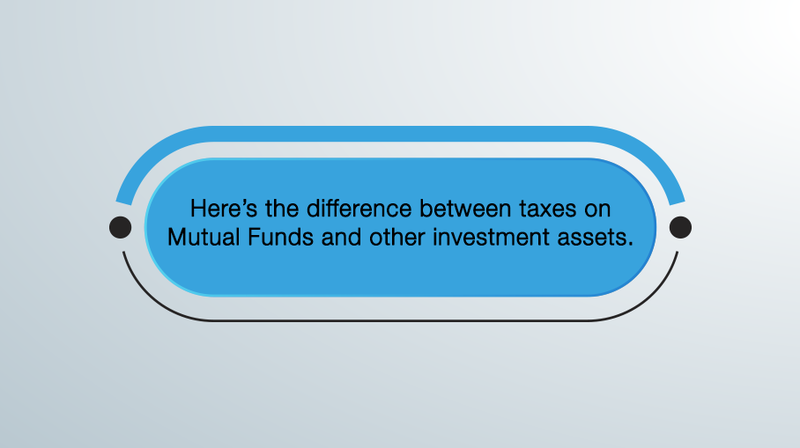 Mutual Fund Taxation - What are the taxation rules & implications? 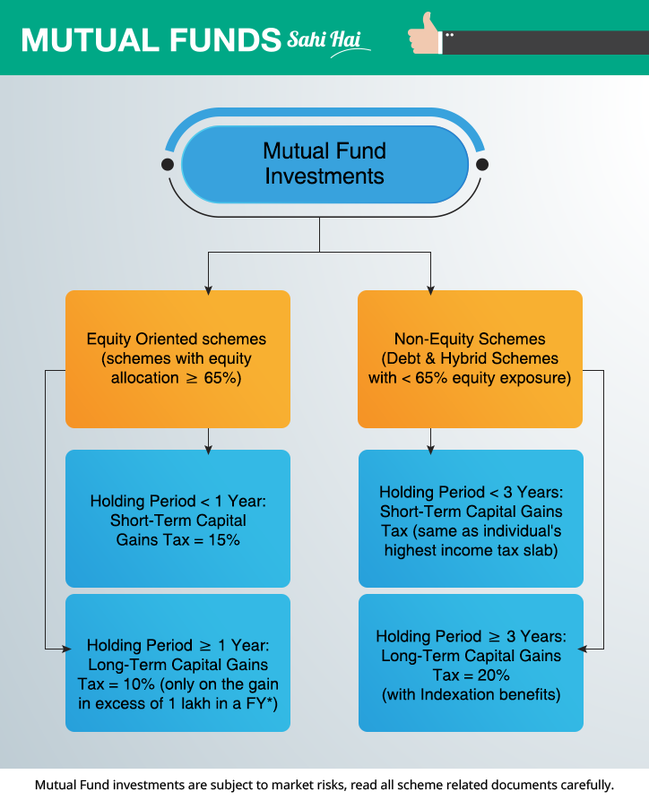 Mutual Fund investments are subject to capital gains tax. It’s paid on the profit we make while redeeming / selling our Mutual Fund holdings (units). The gain is the difference in Net Asset Value (NAV) of scheme on the date of sale and date of purchase (Selling Price-Purchase Price). Capital gains tax is further classified depending on period of holding. For equity funds (funds with equity exposure > =65%), holding period of one year or more is considered long-term and subjected to Long-Term Capital Gains (LTCG) tax. LTCG tax of 10% is applicable on equity funds if the cumulative capital gain in a financial year exceeds INR 1 lakh. While doing financial planning remember your gains remain tax-free up to INR 1 lakh. It’s applicable for all investments made after 31st Jan 2018. Profits on holdings of less than a year are subject to 15% Short-Term Capital Gains (STCG) tax in equity funds. Long-term is defined as holding period of 3 years or more in case of non-equity funds (debt funds) and 20% LTCG tax is applicable on such holdings with indexation i.e. purchase price is adjusted upwards for inflation, while computing capital gains. Profits on holdings of less than 3 years are subject to STCG tax, which is the highest income tax slab individuals fall into.